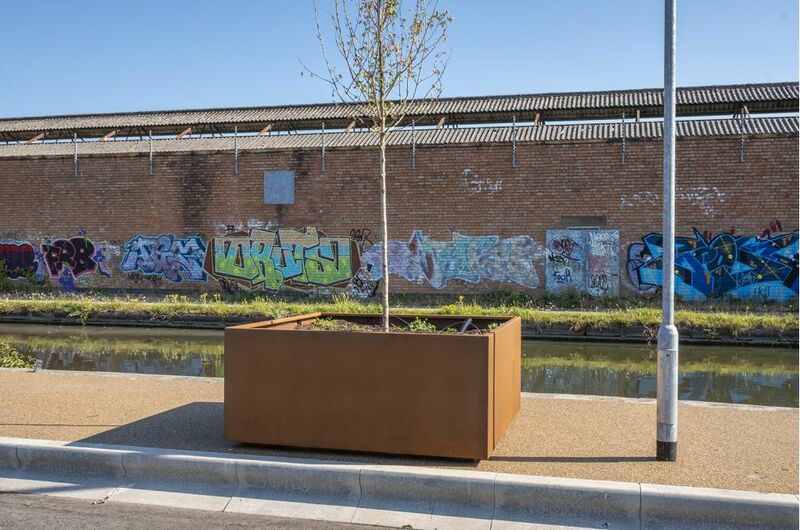 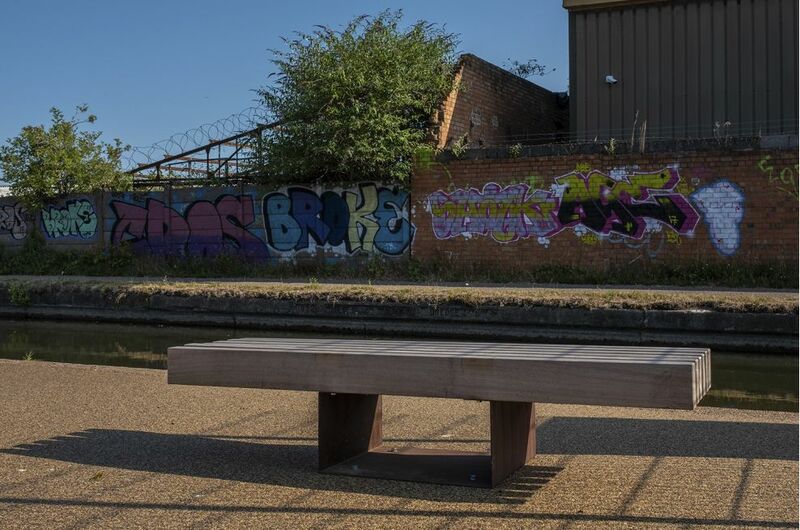 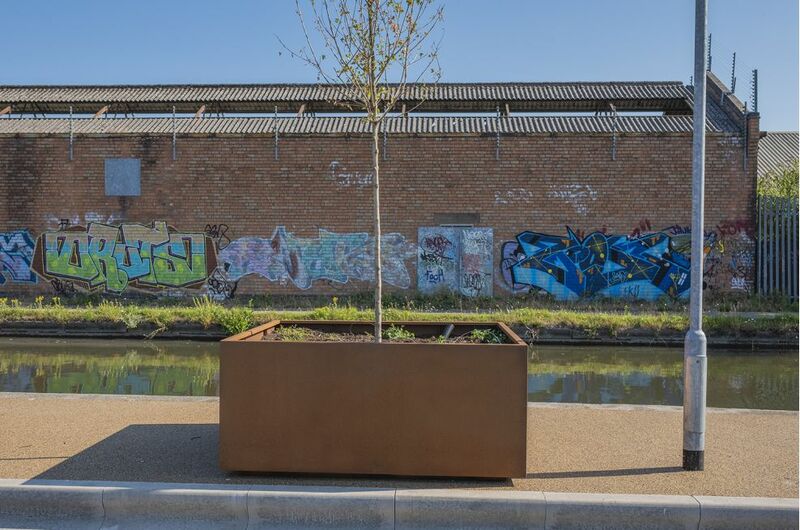 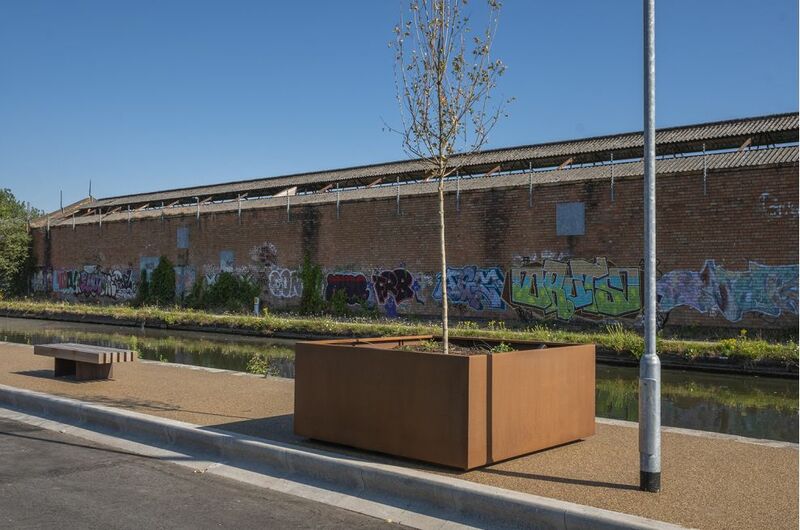 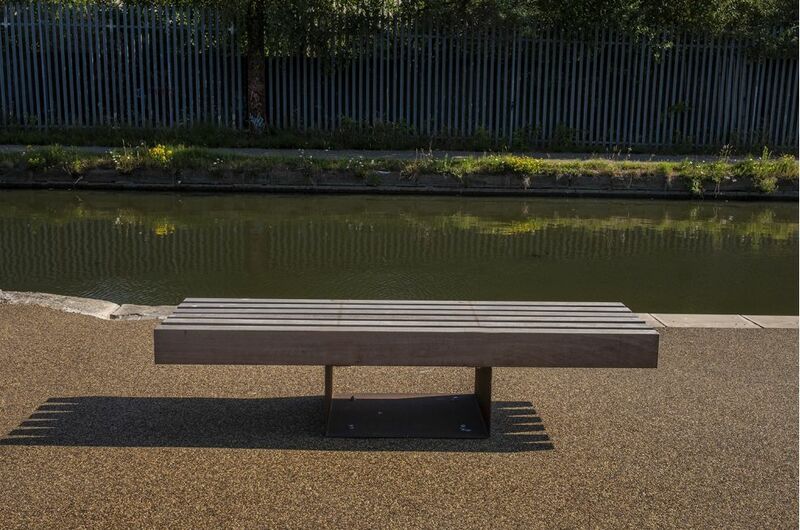 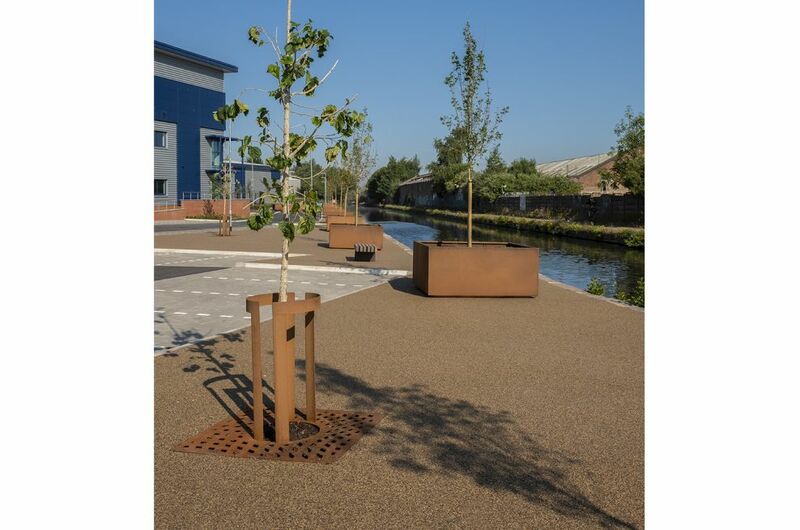 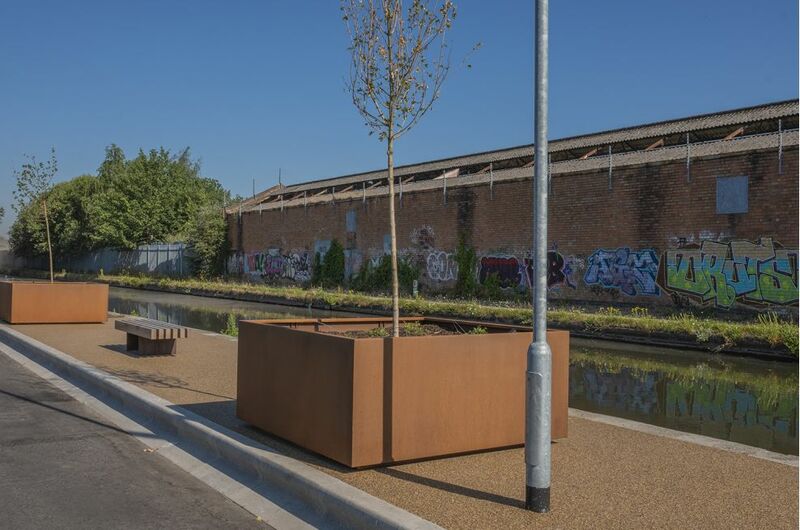 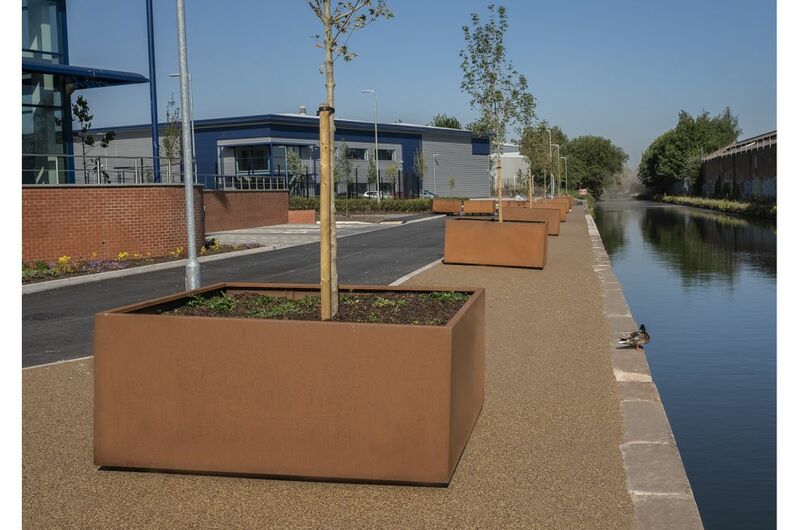 IOTA supplied a complete package of street furniture to the Tyseley Wharf development in Birmingham. 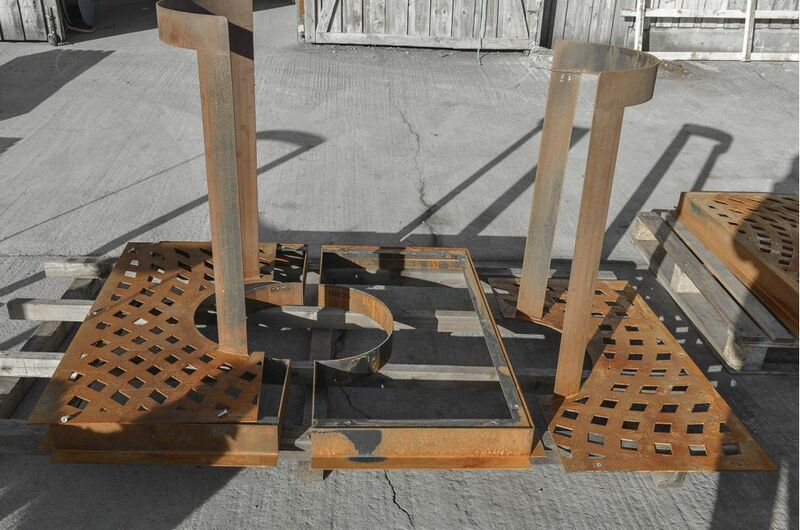 16nr. 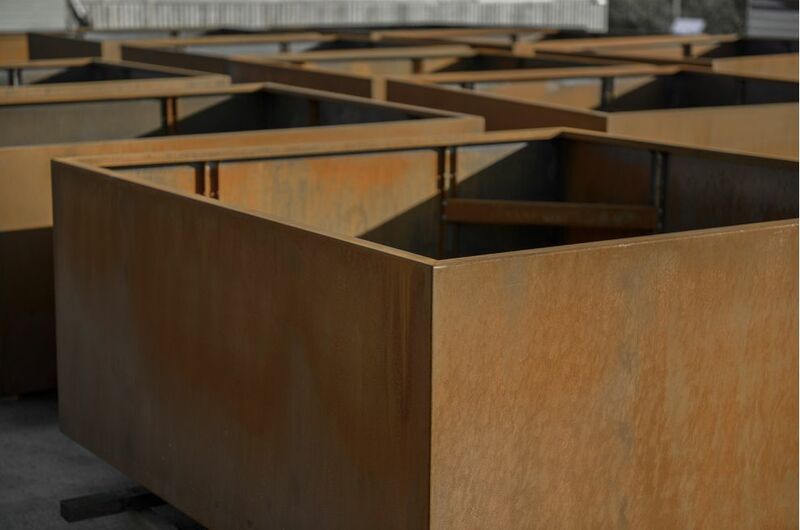 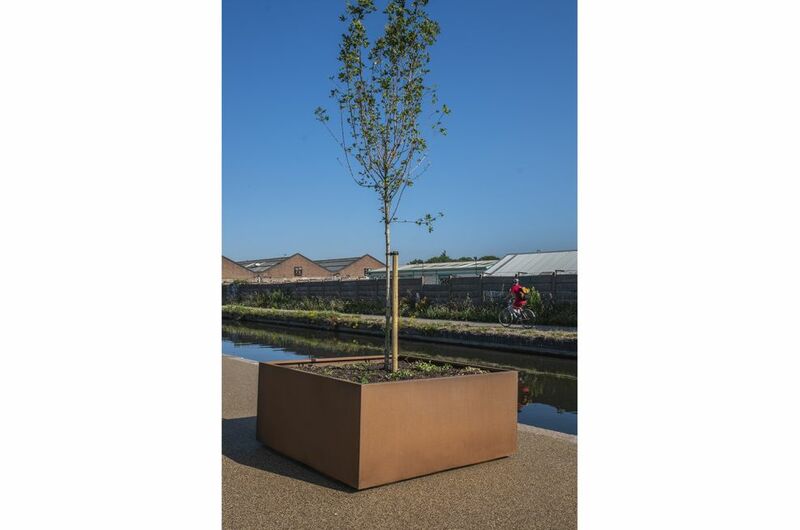 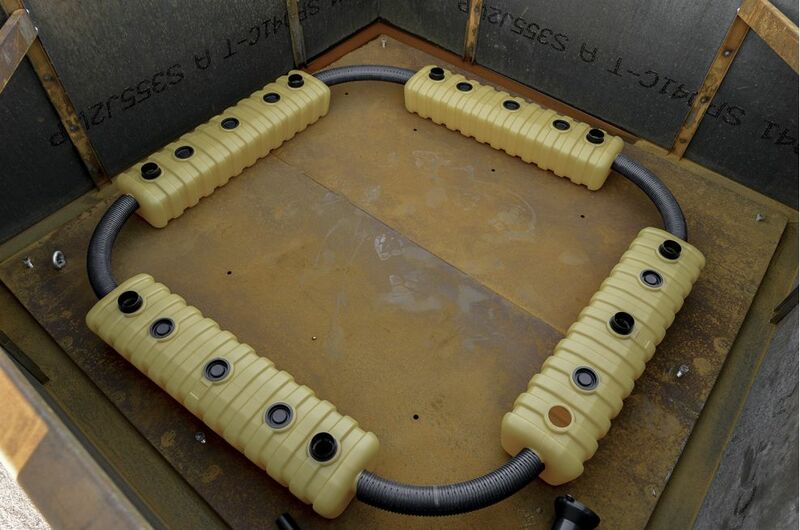 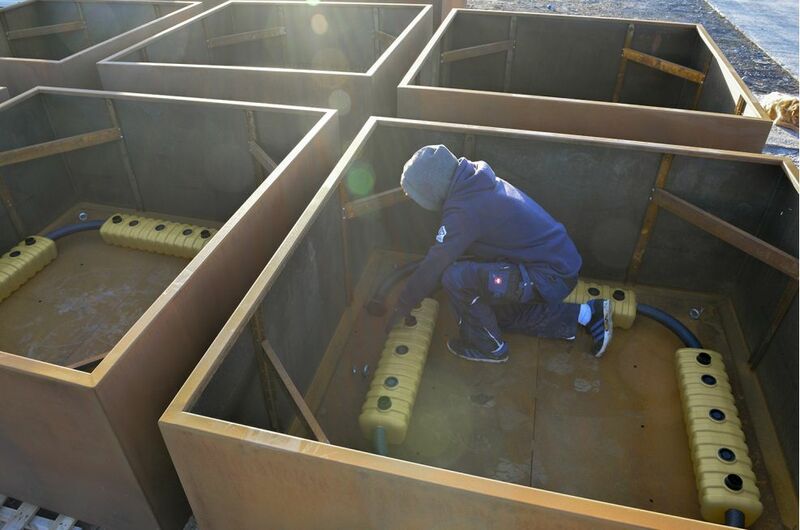 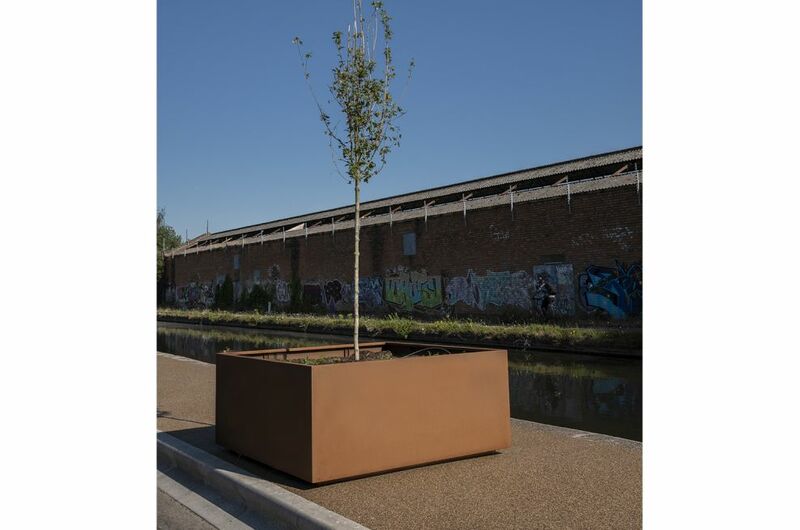 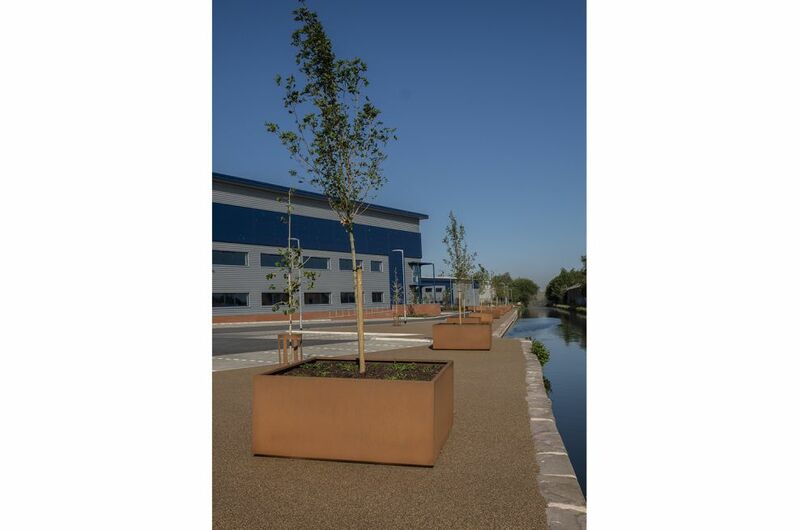 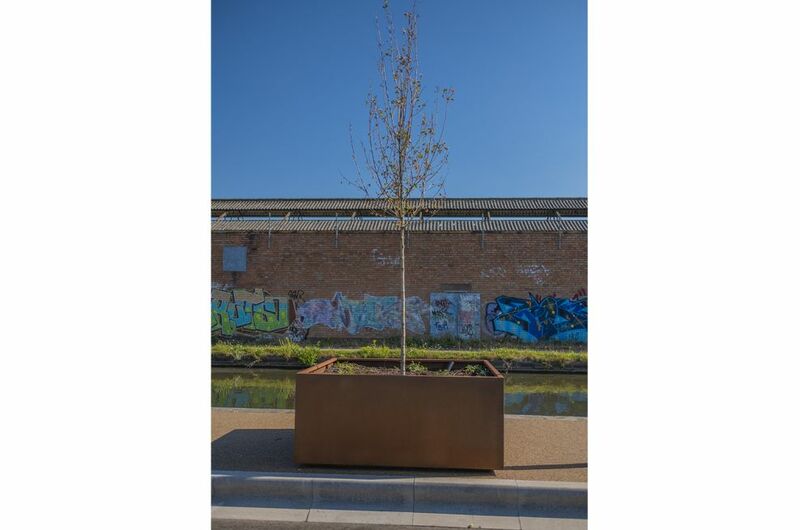 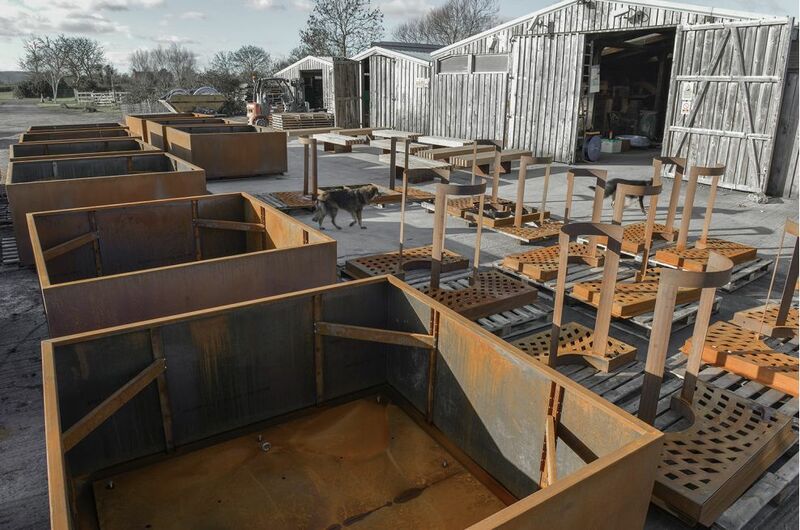 L 2000 x W 2000 x H 900mm tree planters, in 3.0mm Corten Steel, each supplied with an internal reservoir system. 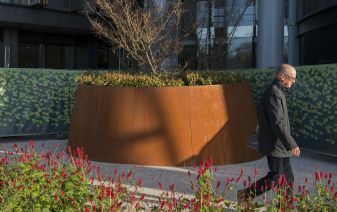 9nr. 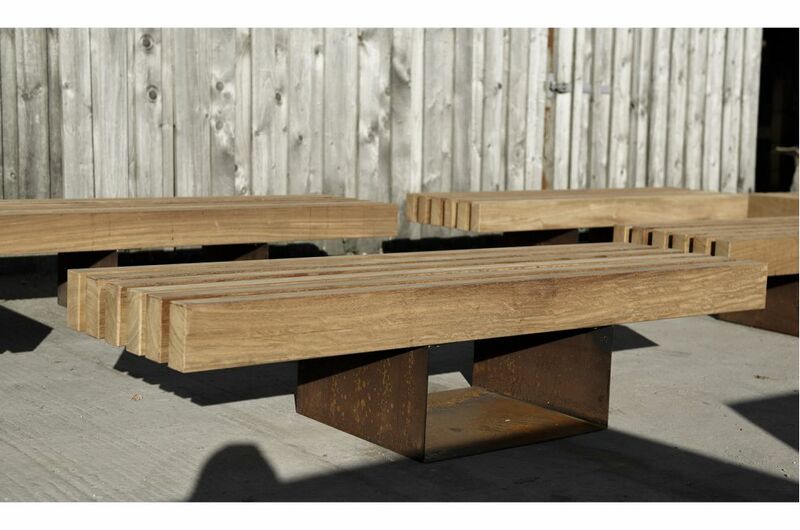 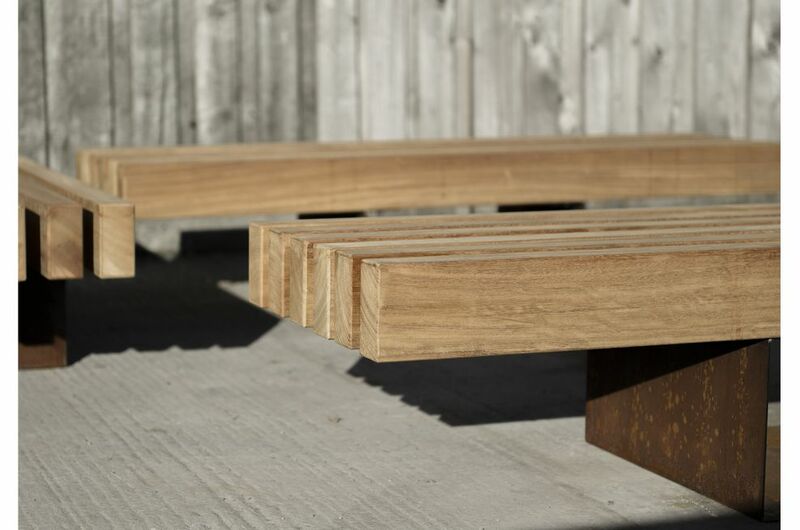 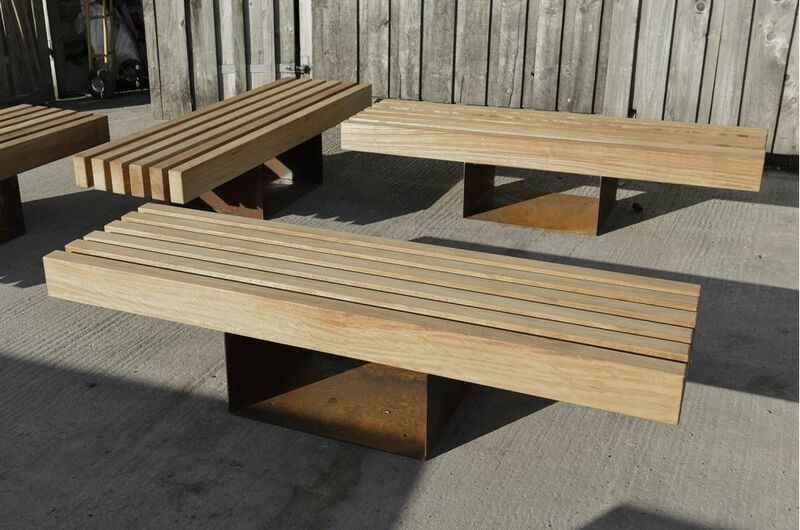 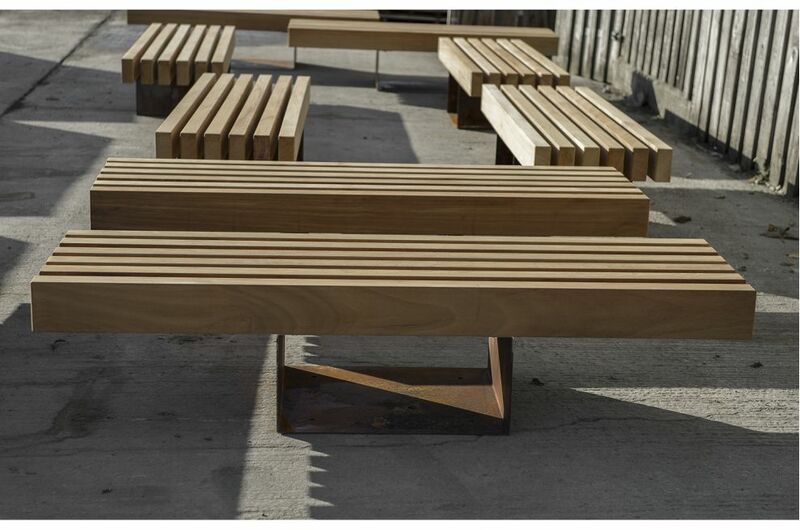 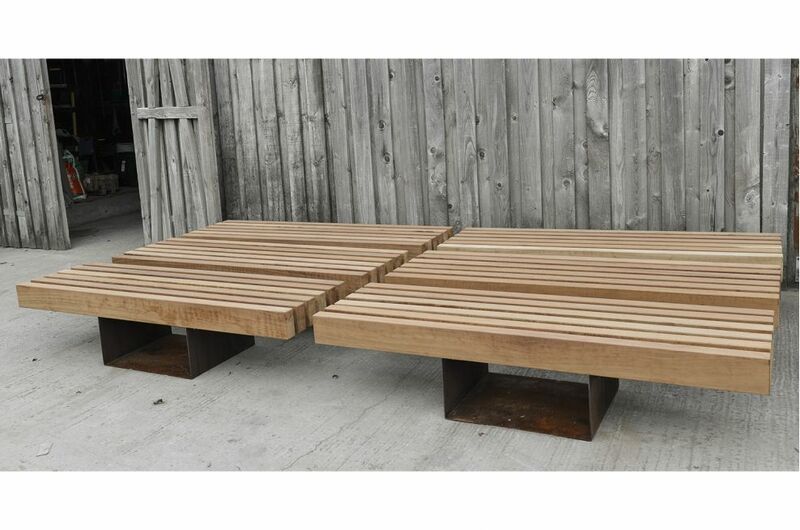 L 2000 x W 590 x H 450mm benches, in 4.0mm Corten Steel and W 70 x H 150mm Iroko FSC timbers. 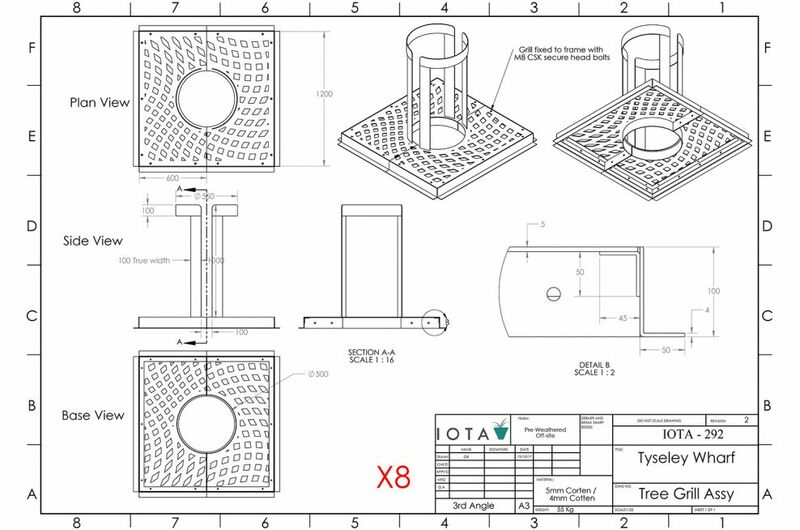 8nr. 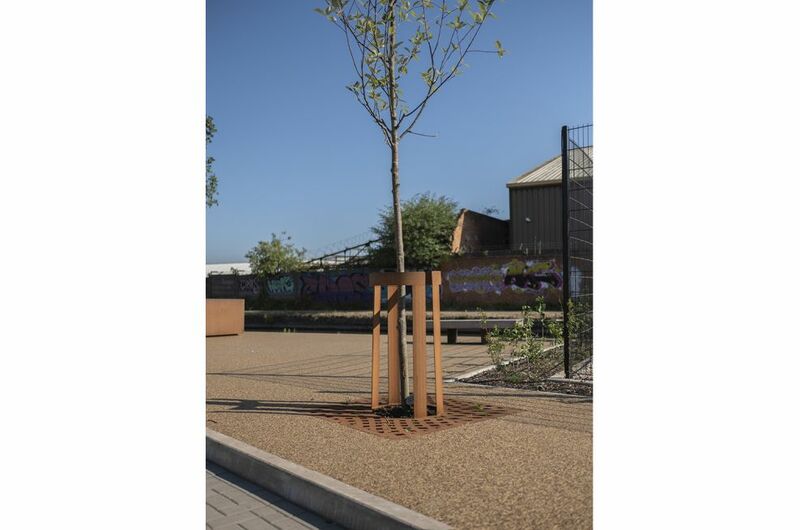 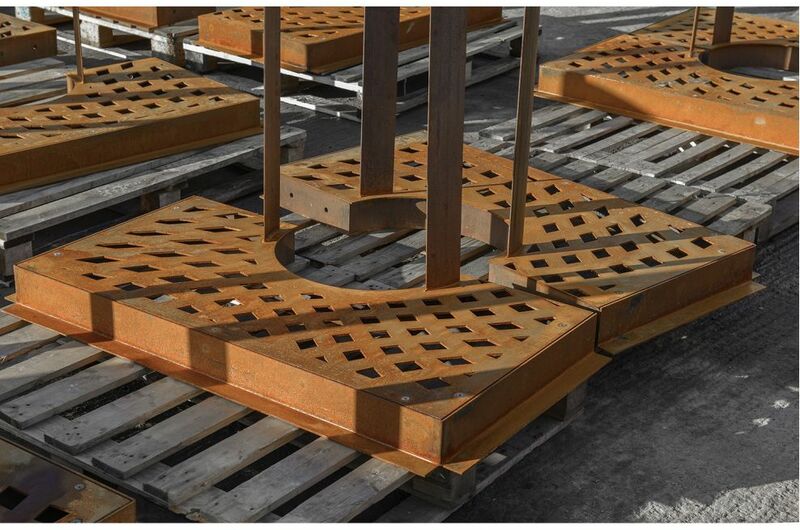 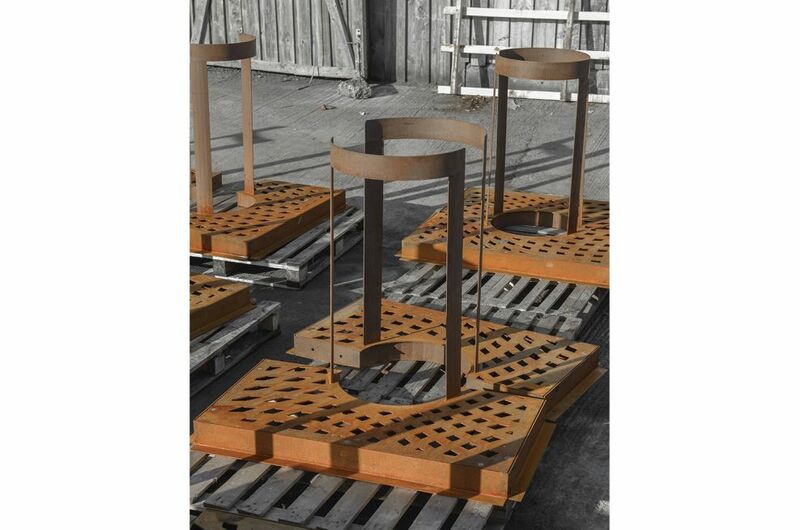 L/W 1200mm tree grilles, in 5.0mm Corten Steel, including tree guards of H 1000mm. 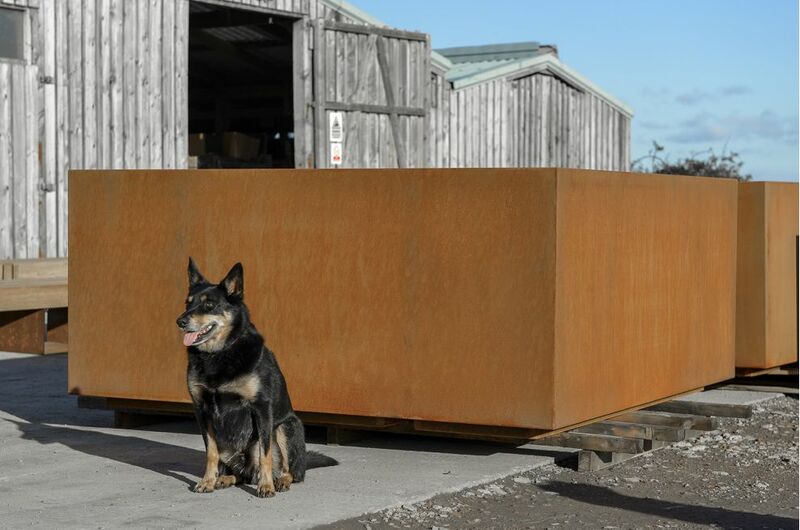 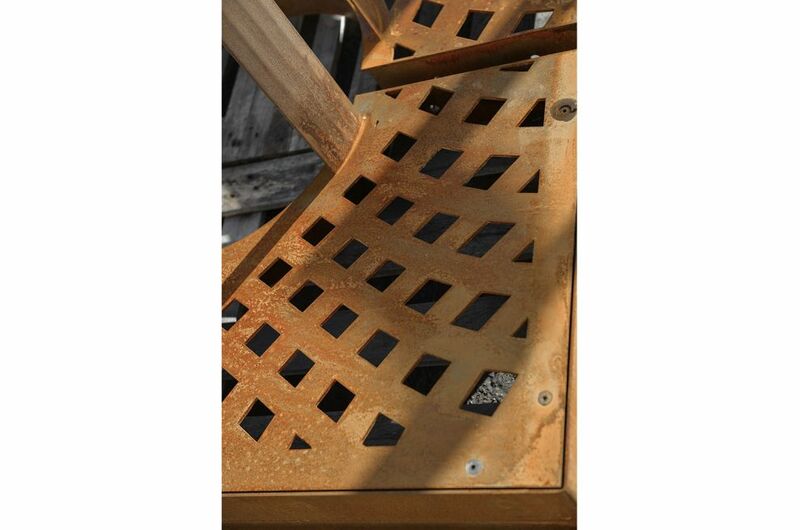 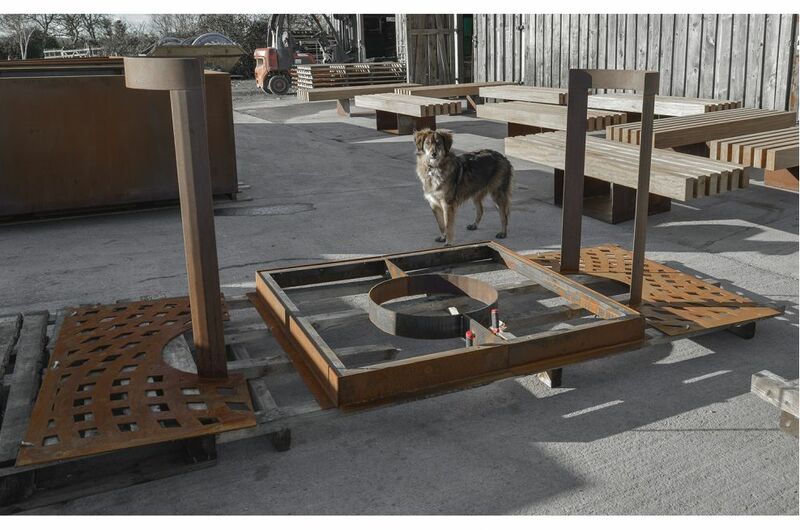 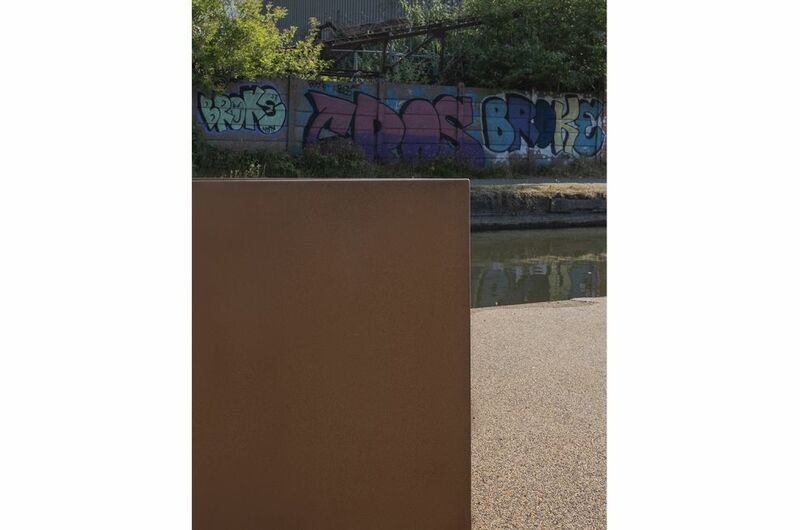 IOTA’s delivery was on the basis of design, manufacture and supply; and IOTA also supplied all items pre-weathered, with the characteristic patina of Corten already developed. 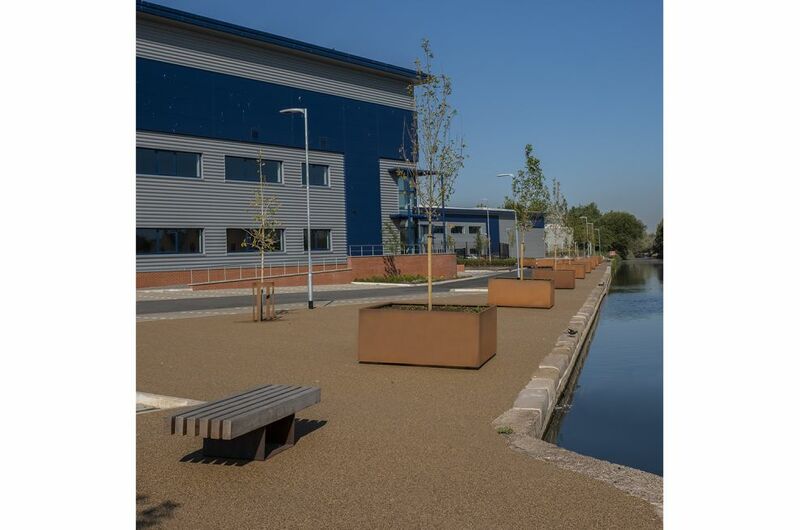 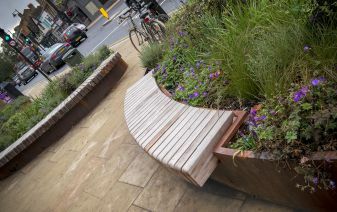 IOTA’s street furniture was commissioned for this project by contractors A&H Construction & Developments plc. 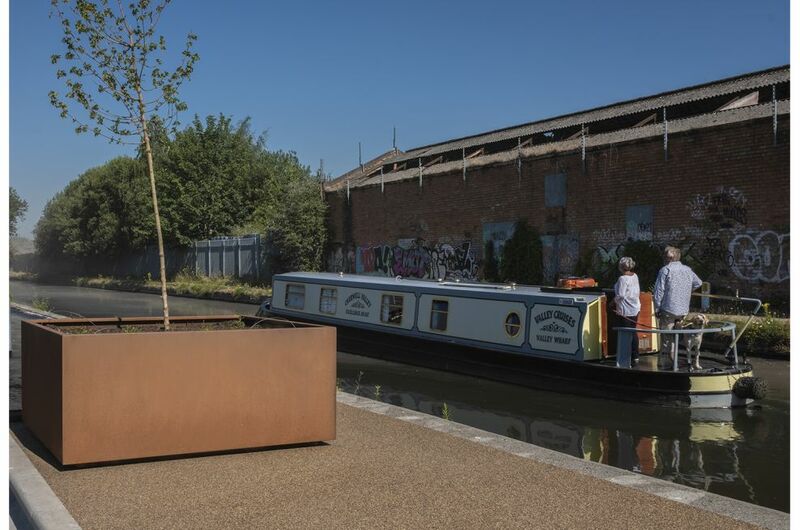 Tyseley Wharf, on the Grand Union Canal, was up until 1957 busy with commercial barges unloading cargos such as zinc & steel. 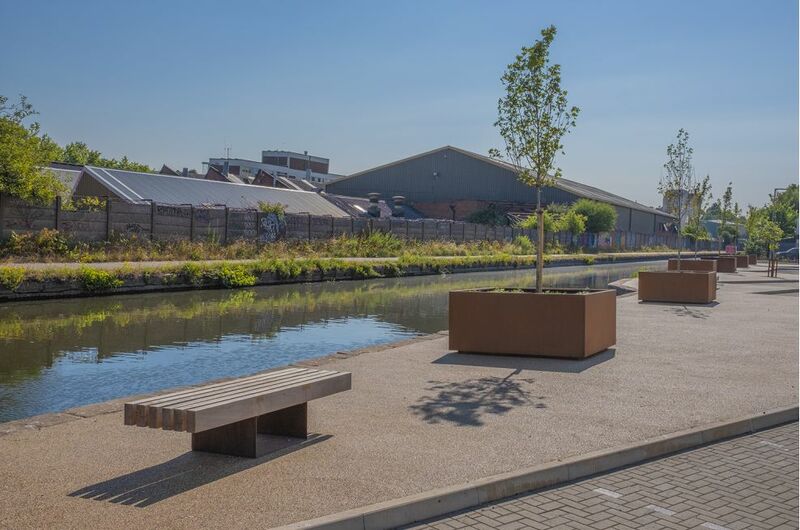 In conjunction with Birmingham City Council, the Canal & River Trust is redeveloping the area to once again be a hive of industry; and central to the plan is the construction of a new, high quality business park at Tyseley Wharf, providing up to 250,000sqft (23,500 sq. 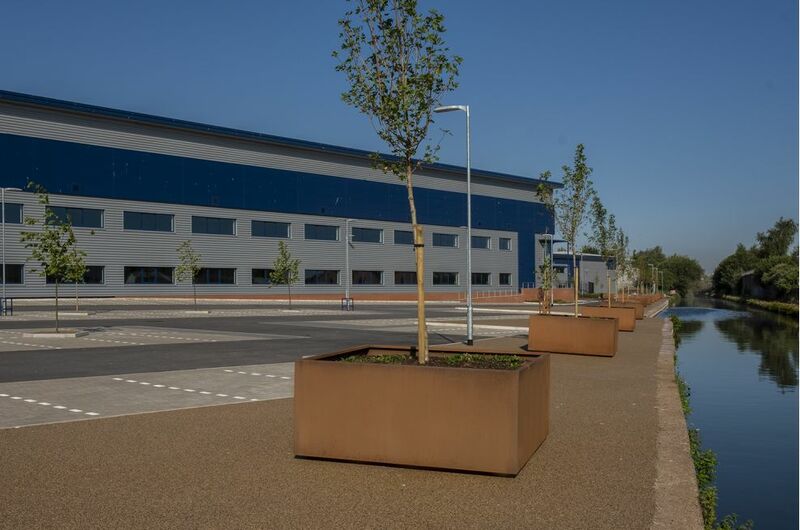 metres) of new industrial warehousing. 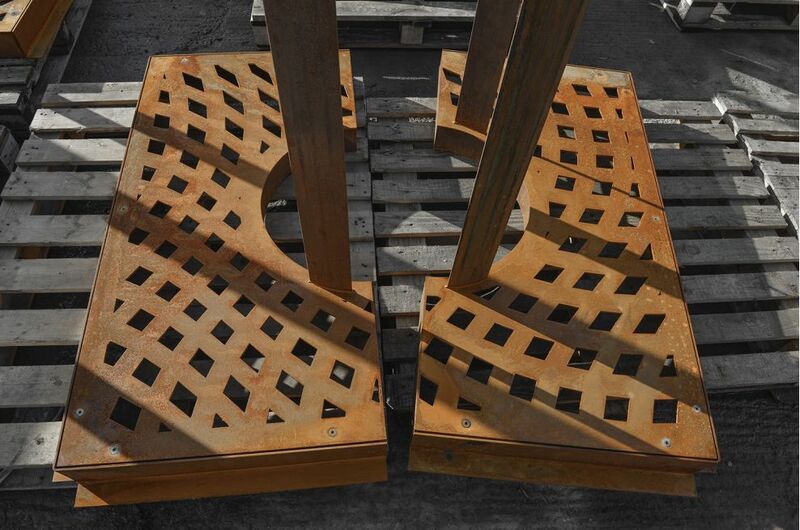 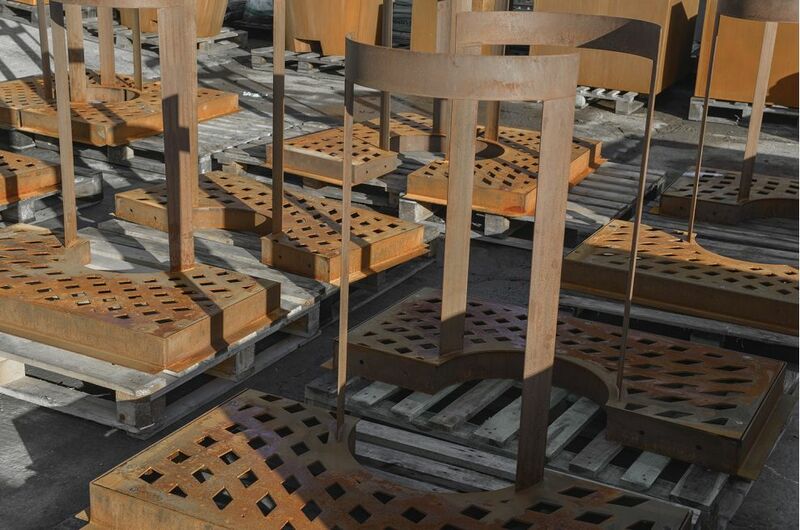 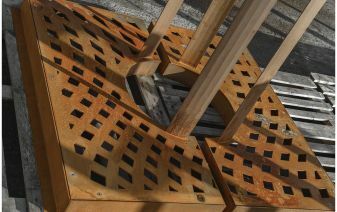 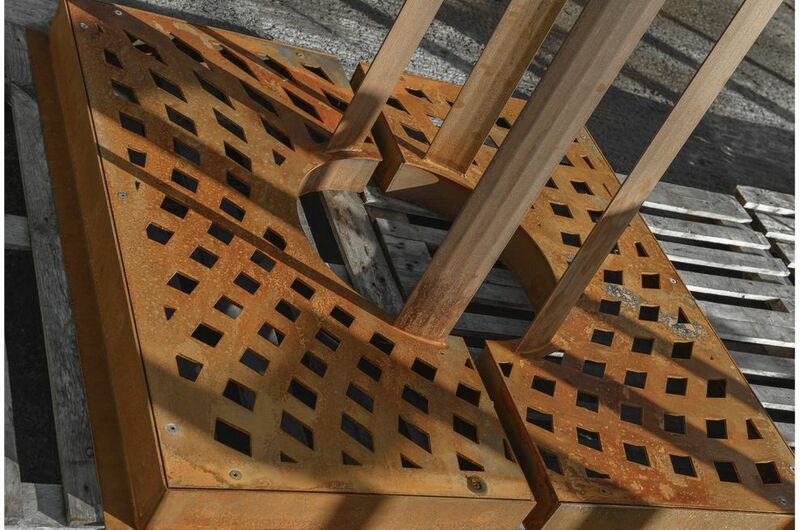 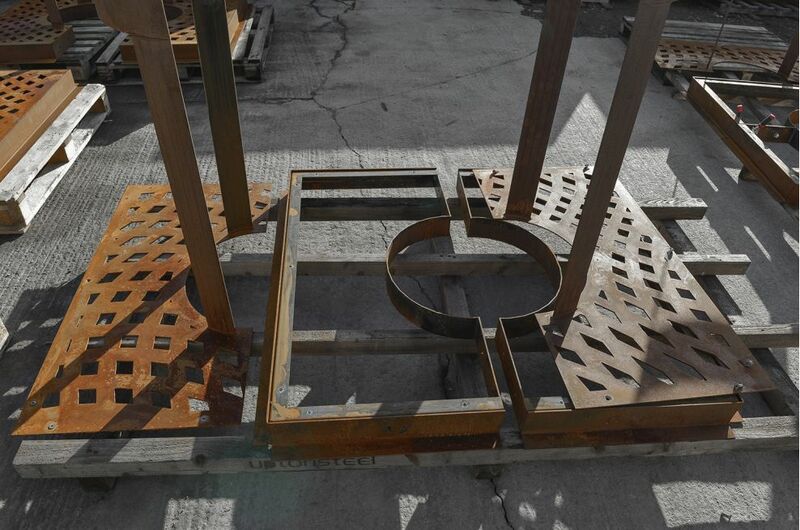 IOTA’s Tree Grilles and Tree Guards can be easily customised, and bespoke commissions are also undertaken.